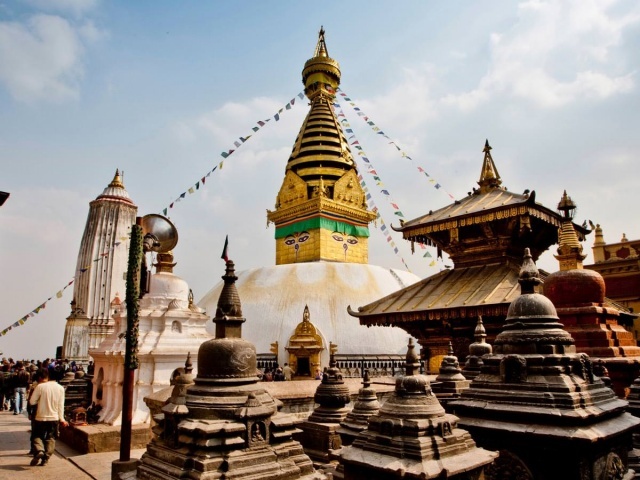 The Swayambhunat Stupa is considered to be the heart of the Katmandu Valley. A pilgrimage site for countless beings of many faiths. Buddhist kingdoms have a long tradition of creating Sacred Architecture to enrich the land and society. 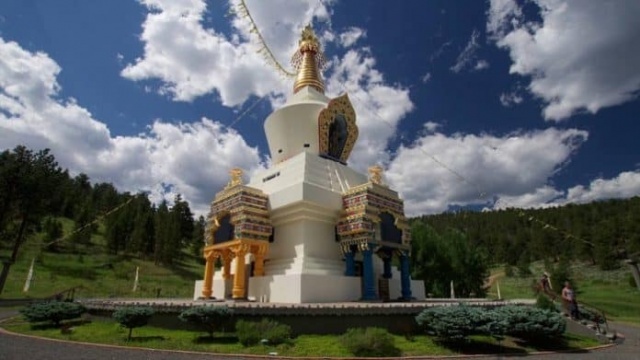 The first Stupa has been most amazingly accomplished at Shambhala Mountain Center. 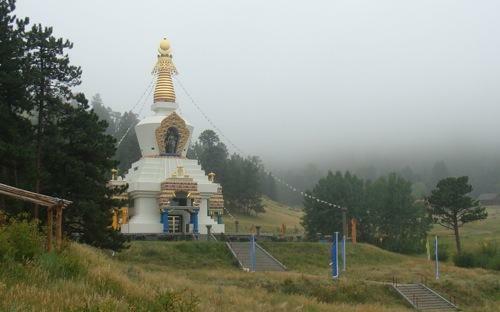 The second will be at Karme Choling. The exact locations of the others are not yet determined. If you would like to contribute to this sacred undertaking please click here. As physical representations of the Buddhist ideal of enlightenment, stupas are embodied aspirations for increasing wisdom and compassion in the world. 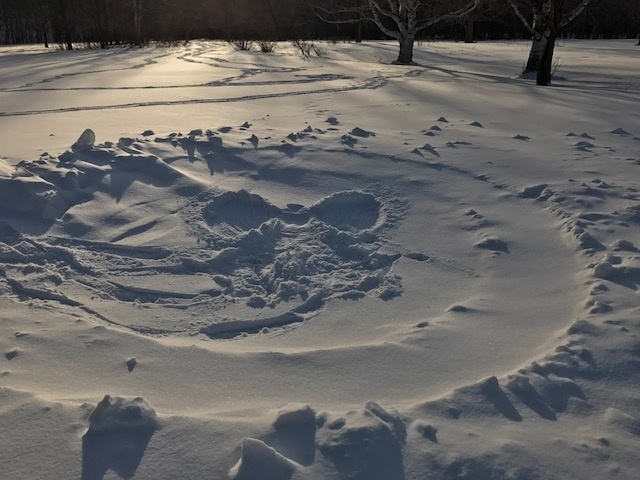 We have a great example of ‘stupa’ and the devotion of students in Nova Scotia. 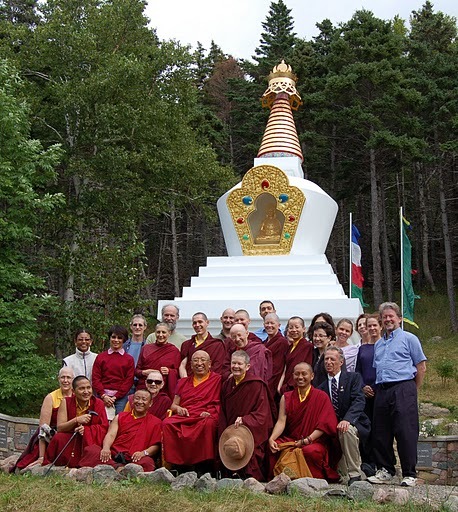 The Stupa at Gampo Abbey has been overlooking the West coast of Cape Breton and magnetizing beings since it’s completion. 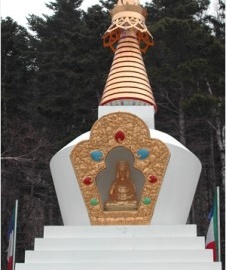 The Venerable Thrangu Rinpoche consecrated the completed stupa in 2001. Practitioners contributing to the completion of a stupa that will enable our unique and nurturing practice centers to radiate out more fully to the world and at the same time accumulate merit for their own path of benefiting others.